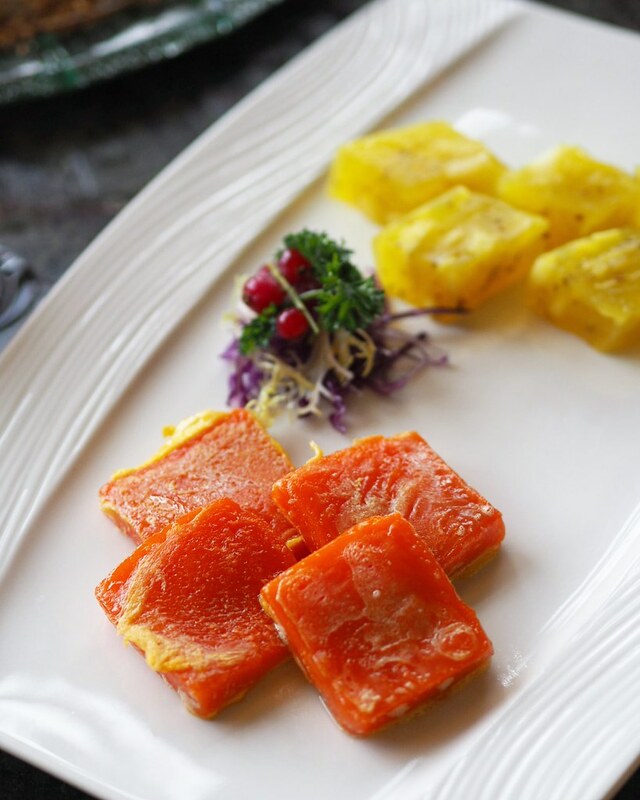 As the Lunar New Year approaches, modern-Cantonese restaurant Full of Luck Restaurant at Holland Village rolls out five different set menus, featuring a culinary line up of contemporary Cantonese classics and festive favourites. 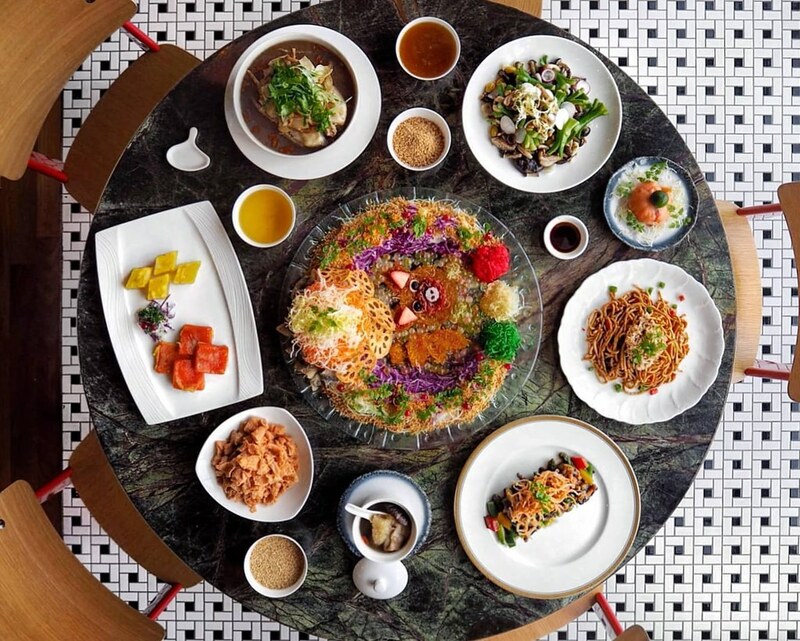 With five menus ranging from $118-$668 to cater to 2-10 pax, you can even toss the yu sheng with just two people at the table! Set menus are available for dine-in till 19 Feb 2019. We had the Harmony with Joy Set ($238 - per table of 4 pax). 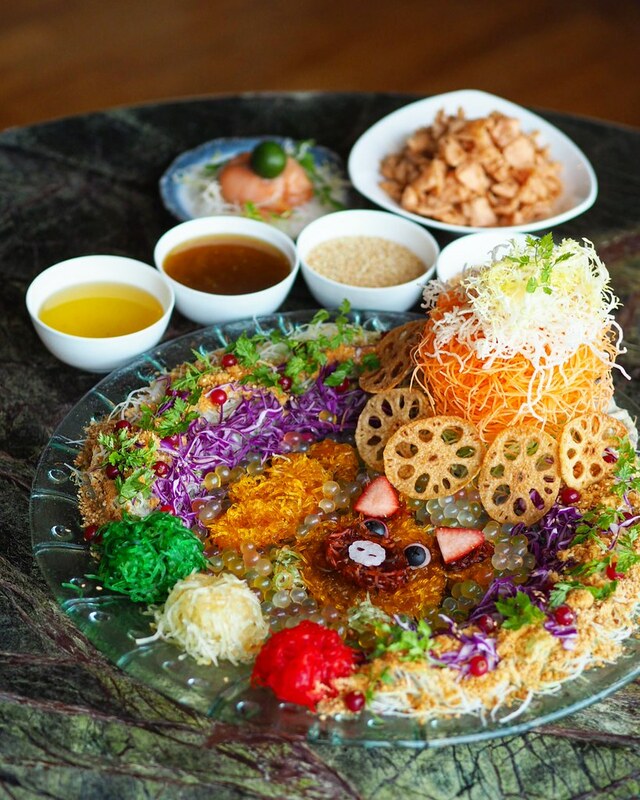 Toss the ubiquitous yusheng to a year of prosperity and good fortune with fresh smoked salmon slices, fruit popping boba to impart a refreshing tangy-sweetness to the colourful stack of julienned accompaniments, brightened by flavourful, tangy notes of yuzu. Full of Luck’s Yu Sheng with Smoked Salmon & Yuzu Dressing raises the 'porksperity' ante with a cute pig design amid the melange of delightful colours, flavours and textures. Next on the menu is the Peace & Bliss Fish Maw Clam Soup. 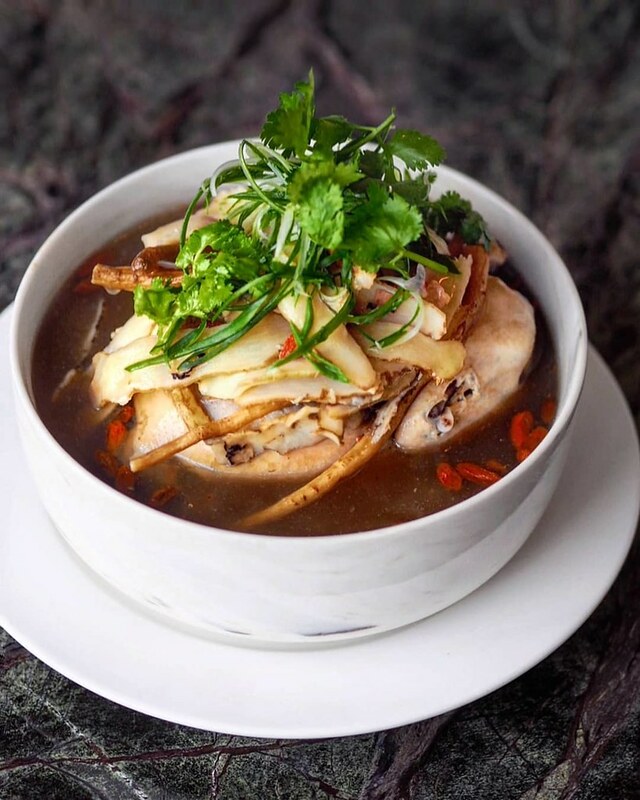 Loaded with a medley of fresh premium ingredients such as fish maw, clams, chicken chunks, red dates in a flavourful broth, the comforting bowl of superior soup is a welcoming starter to the rest of the richer savoury dishes. The Traditional Wok Fried Black Garlic Prawns features fresh bouncy prawns seasoned with a tinge of fragrant black garlic spice, which makes it so wonderfully flavourful without being too overwhelming. The bed of vegetables below adds a nice crunch to the dish as well. 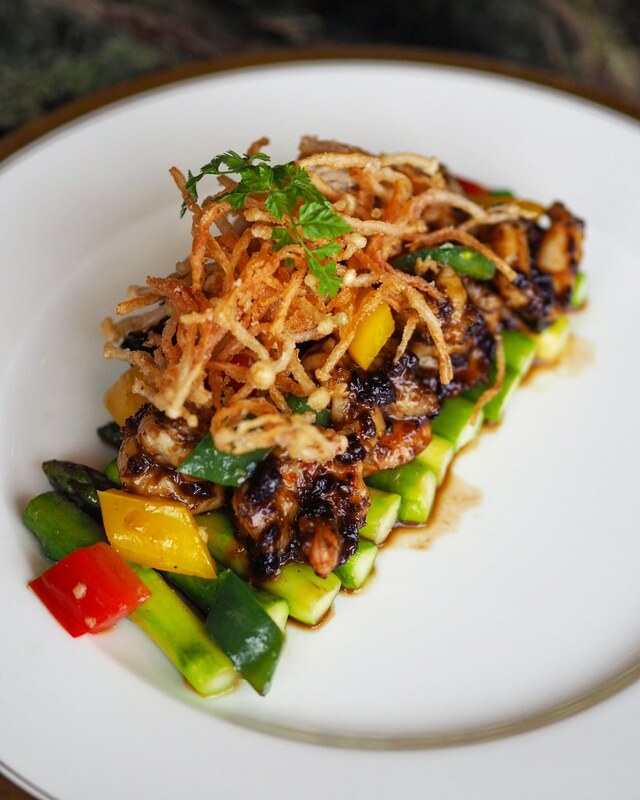 There is no better way to usher in the new year with a delicious and nutritious dish. 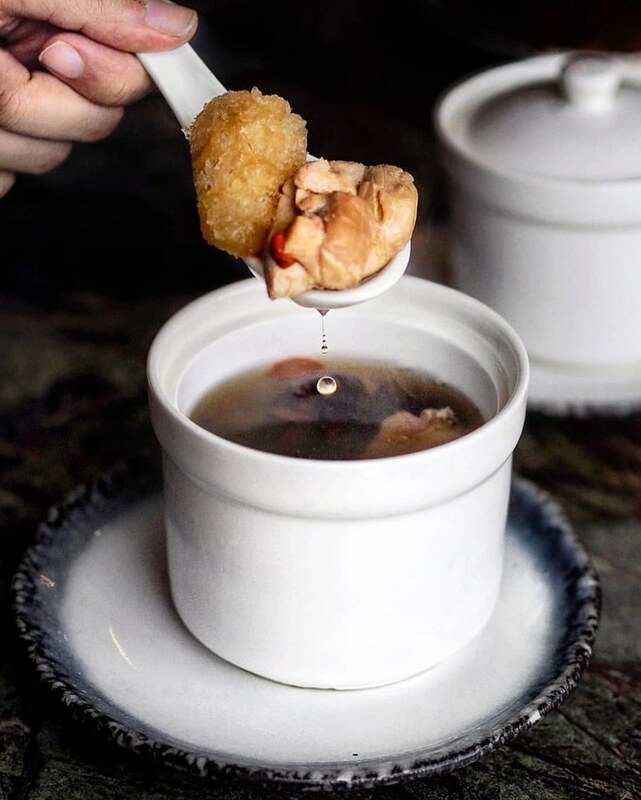 Boasting an easily-falls-apart tenderness, the Herbal Emperor Chicken has a rich herbal flavour as the taste is infused in the chicken while it cooks, and also further steeped in a rich herbal broth when served. 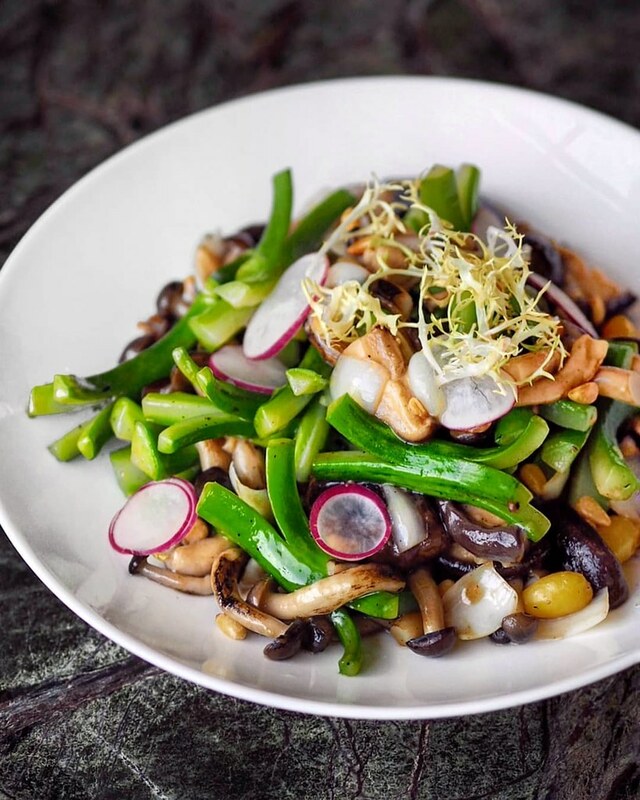 The Crunchy Medley of Vegetables with Lilybulb comes in a medley of crunchy vegetables. While well received for its crunchy texture and clean taste, I personally thought the dish can be more flavourful, as the vegetables may be a tad bland on its own. 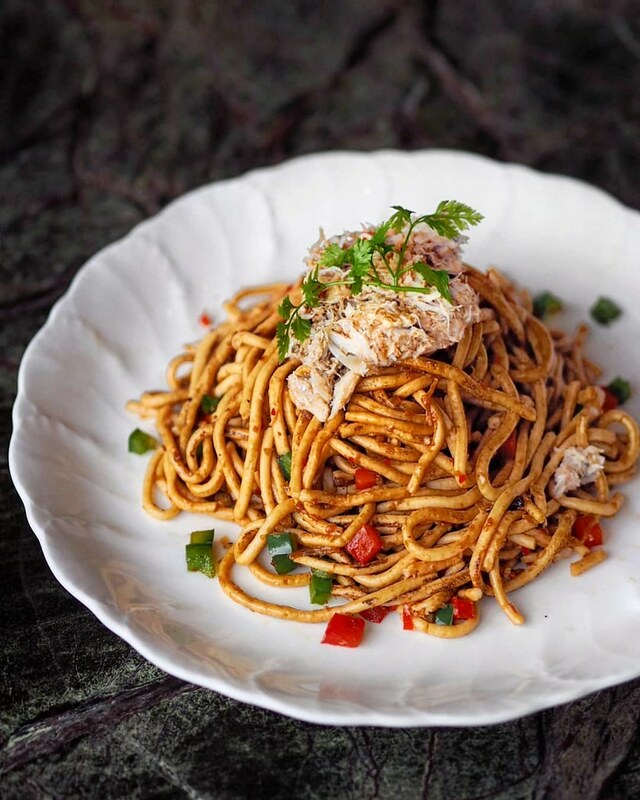 One of my favourite dish on the menu is the Longevity Fish Noodles with Crabmeat and X.O Chilli. Made using fish paste, the noodles are al dente with a hint of fish flavour, yet not too fishy. Also served with fresh crabmeat, the noodles is cooked in X.O chilli to give it a subtle spice fragrance which elevates the whole enjoyment. End the meal on a sweet note with their Refreshing Water Chestnut Cake with Osmanthus Fragrance. However, I find the osmanthus flavour to be a tad too bland. The Traditional Pan Fried Nian Gao with Egg fares better with a nice chewy texture and a taste which is not too sweet. Definitely one of the better ones I had.